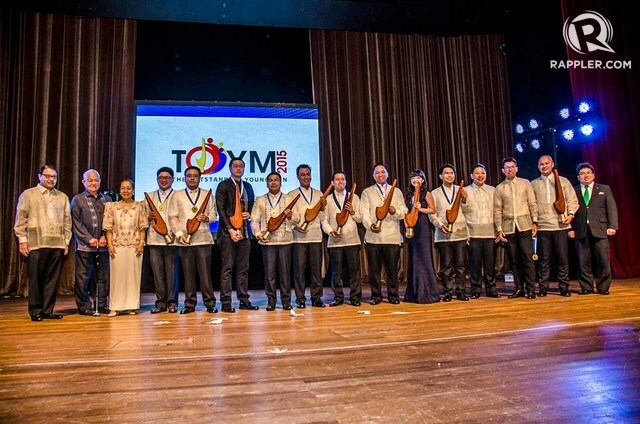 MANILA, Philippines – The most prestigious award given to young Filipinos - The Outstanding Young Men (TOYM) – honored the 2015 awardees in a ceremony held on Wednesday, January 27, at the Meralco Theater in Pasig City. "The honorees are true models of exceptional young Filipinos worth emulating by the millennials and the nation in general,” said the organizers, the Junior Chamber International (JCI) and the Gerry Roxas Foundation. Almazar, who leads the free legal aid clinic at the Philippine Embassy and Consulate in Dubai, is known as a defender of the rights of the more than 3 million migrant workers in the Middle East. 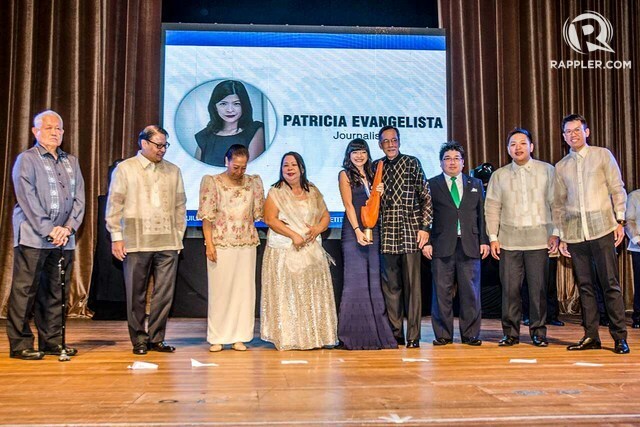 Award-winning Rappler multimedia manager Patricia Evangelista was among the recipients of the award. The lone woman in this year’s roster of honorees, Evangelista was recognized for her contributions to the journalism profession having made a mark in disaster, conflict, and human rights reporting. The TOYM has honored more than 400 individuals in the last 5 decades for their achievements in the fields of public service, education, journalism, science, and the arts. It is annually presented by the Junior Chamber International Philippines, the TOYM Foundation, and the Gerry Roxas Foundation.